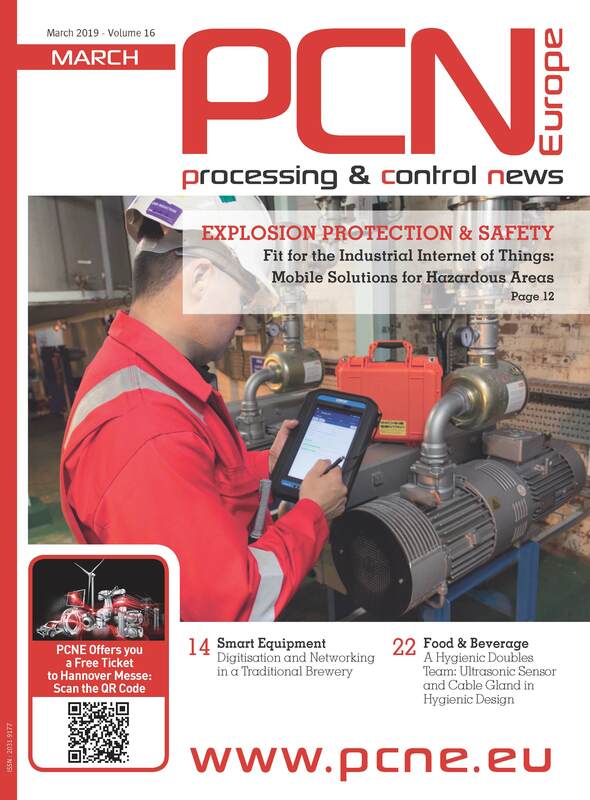 Pressure, differential pressure and flow measurements are indispensable in the chemical, petrochemical, oil and gas industries as well as many other applications. Among other things, they ensure the safety of people and the environment, enable exact and trouble-free production processes and accurate delivery quantities. Conventionally, a measuring device or transmitter is connected to the system via a separate impulse line in order to collect and forward the corresponding parameters. However, this method has several disadvantages. On the one hand, the planning and installation effort is very high. Plant builders or operators must, in part, resort to several suppliers when equipping with such measuring devices and coordinate the orders and deliveries. The right choice of matching components and the layout of the measurement devices require a great deal of engineering work. Numerous welding points must be placed during assembly on site. This is not only time consuming, but also a potential error source. This is because leaks can quickly develop at the points, which falsify the measurement results and impair safety. The connection of pressure, differential pressure and flow meters via an impulse line is prone to inaccuracies. The longer the line, the higher the probability of measurement errors. Studies have shown: With malfunctions in measuring and control technology in process plants, impulse lines not the measuring devices cause 90 percent of the errors. Maintenance work, such as checking and calibrating the devices, is, in turn, time-consuming and causes expensive plant downtimes. The Indian Oil Corporation Ltd. was also confronted with these challenges. Headquartered in New Delhi, the oil company is the largest commercial enterprise in the Indian subcontinent and operates 10 of the 20 refineries in the country. One of them is in Mathura, about 150 kilometres south of the company headquarters. Here more than 400 measuring points in pipes, containers and other plant components ensure safe and trouble-free operation. Many of them have to withstand extreme temperatures and pressure and work hard under adverse conditions. 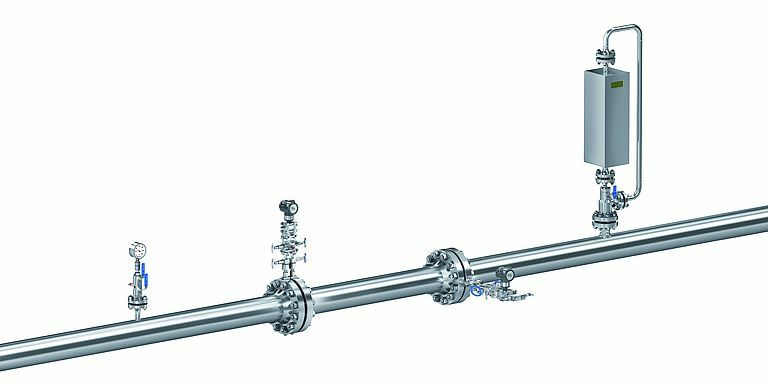 Up until now, all measuring devices in the refinery were connected conventionally via impulse lines - not an insignificant time and cost factor: The installation and commissioning of a single valve could take up to 16 hours. Engineering work which the company had to commission involved more than 250 different installation drawings alone for the measuring points. Indian Oil was therefore searching for a way to simplify the layout and installation of the measurement devices - and came across the AS-Schneider Close Coupled Installation Concept. With this concept, the specialist for industrial valves based in Nordheim near Heilbronn in southern Germany has developed a solution that benefits plant constructors and operators in several ways: Valves, manifolds and transmitters are connected directly to the dispensing port of the process line without using impulse lines. The process connection can vary between a flange, welding connection or thread. AS-Schneider delivers this so-called installation hardware to the customer pre-mounted so that they only have to join the components to the process line on site. This not only saves considerable time during installation, but also ensures reliable and error-free operation. Pressure trials on the measuring line can be omitted during mounting as well as time-consuming welding work. Potential leaks are minimised by eliminating multiple welding points. Indian Oil, too, was impressed with the advantages of the AS-Schneider Close Coupled Installation Concept and decided to equip the measuring points of the Mathura refinery with the innovative technology. Instead of working with a variety of connectivity options as previously, the company’s engineers opted for a standardised flange connection. The success was overwhelming: Installation drawings could be reduced from more than 250 drawing to only 25. Installation and implementation only took one hour instead of 16. Thus, Indian Oil was able to drastically reduce the effort spent on the planning and layout of the refinery plants as well as the installation of the valves. 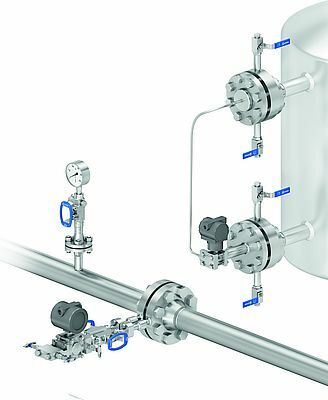 Since the AS-Schneider Close Coupled Installation Concept has been used in the Mathura refinery, the measuring devices work reliably and without deviations. The risk of leakage has been reduced to a minimum due to the direct flange connection without impulse lines - this improves the measurement results and increases plant safety. Another advantage is that AS-Schneider offers all the required components from a single source - which means that no time-consuming coordination of various suppliers is needed. Indian Oil saves money by working with AS-Schneider - and therefore can easily envision using the direct mounting concept of the specialists from Nordheim at other sites as well.